Manitoba has suddenly become ground zero in a battle for mobile market share. 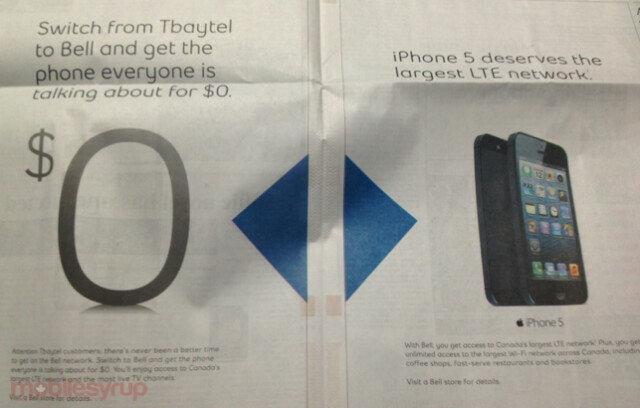 A couple of days ago, Canadian carrier Bell was offering a free Apple iPhone 5 ("the phone everyone is talking about") to those who join Bell from Tybatel. Apple's advertising guidelines prevent carrier's from offering the phone at certain prices which stopped Bell from posting the name of the phone in the ad. 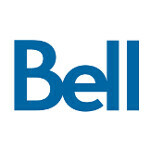 Now Bell is going after another Manitoba based operator, MTS. Those who make the switch to Bell from MTS will also receive a free Apple iPhone 5. MTS, which has a 53% market share in the region, isn't sitting back and letting its customers go without a fight. Kelvin Shepard, president of MTS, says his network is "stronger, faster and more powerful" than Bell's pipeline, adding that a free handset on a network that is not good in Manitoba is not a great offer. Will MTS match Bell and offer a free Apple iPhone 5? Not immediately. Shepard says that he will analyze the market to see if he has to make any adjustments to MTS' pricing. Meanwhile, Bell's free iPhone 5 requires a signed three year contract and those jumping from MTS can select from other free handsets like the HTC Windows Phone 8X, Sony Xperia T and the BlackBerry Bold 9900. Bell normally offers the Apple iPhone 5 for $179.99 to those who sign a three year-year contract with the carrier. Haha resorting to giving them away. Your obviously not understanding the article. They're using a very popular device to lure subscribers from a rival company...Einstein. Nothing free about it. Bell's service plans are horrendously overpriced, which'll make it a 2000 dollar "free phone". Its pathetic when a company has to bash another company to keep their customers.